…When he was in deep meditation in a praying posture with his hands open to the heavens, he saw suddenly how Shesha-Ananta descends down into his open palms. However, he experienced neither fright nor surprise at this prodigious spectacle: he had experienced a moment of truth. He realized that in his spiritual labors he strove after and achieved Samadhi: a meeting with the infinite and absolute, in which the ultimate goal and meaning of all these labors lay, the meaning of the experience that was the object of his persistent search. The apparition of the Divine Snake Shesha-Ananta, the symbol of infinity, was nothing but evidence of this meeting. And then he began to express the truth about the event of the meeting in brief aphoristic sutras that we know now as the Yoga-sutras of Patanjali: of him, who had the divine messenger fall (pat) on his open palms (anjali). In order to achieve this meeting, he had to open his palms: to make himself open for the meeting, unlock himself for the infinite and absolute. Having achieved the meeting or Samadhi, he achieved in it the complete realization of himself; in philosophical terms, he has constituted himself. His way of constituting himself was nothing but the unlocking of himself for the Other, the infinite. This path of the human constitution in man’s unlocking was known and described clearly in classical yoga about two thousands years ago. In a completely different world, different geographically, historically and spiritually, the world of the first Christian monks in the deserts of Coptic Egypt and Palestine, Abba Arsenios the Great, once a great noble of the Emperor’s court in Constantinople, during his monastic labors, being deeply immersed in prayer, heard a call addressed to him with the admonition: Arsenios! Run away, be in solitude, keep silence! The last part, on silence, used the Greek verb hesychadzei, and this admonition has become the source of the name of the entire ascetic tradition of Eastern Christianity: Hesychasm, or the school of sacred silence, silence with people for the sake of unimpeded and incessant address to God, for the sake of a meeting with God and communion with Him. The spiritual art of Hesychasm demanded great concentration and strict method, so that its development was a long and subtle work. It was only after a thousand years that the foundations of this art and method found accomplished expression in the theological and anthropological synthesis performed by a monk from the Holy Mount of Athos, St. Gregory Palamas (1296-1357). Palama is a Greek word meaning palm; and the Palamitic synthesis was also in a sense a teaching about the open palm. 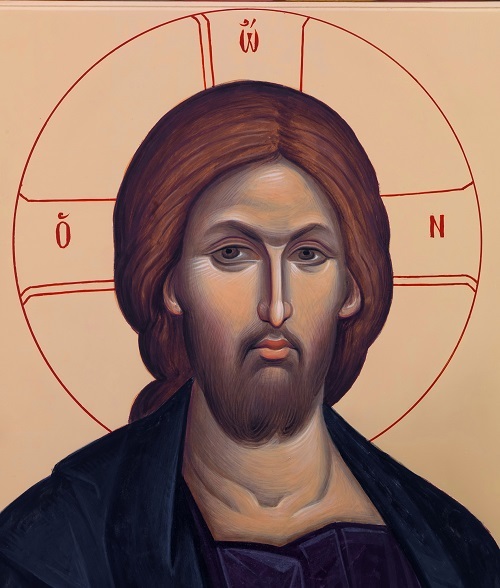 Following the general principles of Orthodoxy, it stated that the destination of Man and the fullness of his self-realization represent nothing but the deification of man (theosis), that consists in transcending man’s mode of being: such a change that all energies of the human being unite with Divine energies, and so partake in Divine being. It stated also that, according to the experience of hesychast practice, the necessary condition for theosis is the achievement of synergeia, synergy: a meeting and collaboration, concerted action of all human energies and Divine energy. In synergy, man must direct all his energies towards contact and meeting with energies of a different mode of being, which implies that he must make himself open, or unlocked, for this meeting. And since this unlocking of oneself is an advance towards the fullness of self-realization, it is at the same time the forming-up of man’s constitution. Thus, both Patanjali and Palamas were great masters and teachers of the unlocking of Man, or teachers of the Open Palm. Are their names purely accidental? The open palm is a primordial, archetypical gesture of openness and “unlockedness” of a human being. It should be added that in Palamas’s case – and there is a big difference! – the unlocking was conceived and performed as a personal encounter with God as a Person (Hypostasis), with Christ, in the element of personal communion and love. In Western Christianity, however, ideas on Man and his constitution followed a rather different line. They were more strongly influenced by the heritage of classical antiquity: Greek philosophy and Roman legal and civil discourse (while the idea of the unlocking of Man was nourished chiefly by direct anthropological and spiritual experience). As a result, their basis and core was the fundamental concept of the essence of Man that originated with Aristotle and generated not an experiential discourse of man’s constitution in practices of unlocking oneself, but a philosophical “teaching on Man” based on abstract categories. After the stage of Scholastics, this philosophical anthropology, together with all Western thought, was subjected to intense secularization. At the same time, it was given a profound elaboration as a part of classical metaphysics, the powerful dominating discourse of the Western mind. Due to the contribution of Descartes and then Kant, by the end of the 18th c. it had taken the well-balanced and nearly accomplished form of a classical European model of Man. The key concept of this model was the Cartesian concept of subject of knowledge, and the fundament of the model was the triad: Subject – Essence – Substance. The idea of the constitution of Man formed-up in certain anthropological practices was put aside, and the constitution or accomplished self-realization of Man was conceived as the actualization or unfolding of the essence of Man. This essence, in its turn, was conceived as related to a set of positive ideals and values headed by the idea of Supreme Good. Its unfolding amounted to the permanent improvement of Man, and in this way classical anthropology became connected organically with the doctrine of progress. It should be added that the essence of Man was, as a matter of principle, a united and universal concept, so that any anthropological pluralism, any plurality of kinds and paradigms of the constitution of Man as such was firmly excluded. In contrast to the anthropology of unlocking, classical anthropology professed maximal universalism and a hypertrophied uniformity of the conception of Man. Thus during many centuries – those centuries exactly, in which modern civilization was formed-up and enjoyed extraordinary success – anthropology was far from the conception of unlocking, and of the idea of synergy. There was, however, a not unimportant exception to confirm this rule: the philosophy of Kierkegaard. In the period of the blossoming and maximum influence of classical German idealism that strengthened the dominance of the classical model of Man still more, the “Danish Socrates” resolutely offers a different, alternative vision of Man as well as philosophy; and we can today recognize in his anthropology another, perhaps slightly eccentric, version of the anthropology of unlocking. According to Kierkegaard, man advances in his self-realization from the initial “esthetic” stage, the stage of egoistic search for pleasure, to the next, “ethical” stage, in which he forms himself up on the basis of universal principles shared by society and supporting the safe reproduction of its life; and then he proceeds to the concluding, “religious” stage, in which the goal of his self-realization is seen in reaching full and genuine faith, that is connection with God. Evidently, both higher stages can be interpreted very naturally on the basis of unlocking: the ethical stage represents the unlocking of Man towards his fellow-beings and society, while the religious stage is nothing but man’s unlocking towards God. During the life of its author, the philosophy of Kierkegaard was a unique phenomenon; it was not understood properly and remained forgotten for a long time. The idea of the unlocking of oneself was alien to dominating classical anthropology, and the practices of forming-up one’s own constitution in the unlocking of oneself were alien to European man. However, let us transport ourselves into our day, and we see striking changes. A strange and unprecedented anthropological landscape is before us! Certainly, it cannot be described by means of classical anthropology, and this anthropology has been recognized as inadequate long ago. What is more, each of its three basic concepts is unfit for describing modern anthropological reality. The rejection of the Cartesian construction of the subject of knowledge that was the result of its prolonged criticism even earned the special name of the “death of the subject”. The rejection of the concept of the essence of Man was not such a famous event, but its significance is perhaps even more profound, since it implies a necessity for radical change in all anthropological discourse in its conceptual, epistemological and methodological foundations. Nevertheless, this rejection can hardly be disputed today: it resulted not only from philosophical criticism, but also from the direct and weighty experience of modern man. By Kant, the essence of Man is such that in its actualization Man is predetermined to strive after Supreme Good; but in the light of modern experience, it is impossible and absurd to ascribe such striving to human nature as such. It is sufficient to recall that on the scale of our planet, very near Kant’s town Koenigsberg lies Auschwitz! Nowadays, man enthusiastically cultivates practices of the self directed to a “posthuman future”, by Frances Fukuyama’s formula: towards the ending of the existence of mankind and the replacement of Man by some population of different living beings. More and more place in man’s activity is given to virtual practices, in which man really and actually strives towards nothing: he only reproduces incompletely or imitates, tastes, plays, etc. all kinds of actual anthropological practices. Hence, an important conclusion can be drawn: classical anthropology, with all its substantiality and significance, is only a little island or interval when it is seen in the context of the entire History of Man. Both before and after this interval, anthropological reality must be described by other, nonclassical anthropological models and discourses. Classical European Man presented in this anthropology is not man as such, and not the universal anthropological model: he is only a “particular case”, one of the versions or representations of man as such. And as a consequence, anthropological thought turns out to be in the search for a New Anthropology, more general and less restrictive than its classical counterpart, an anthropology that would be able to embrace all the manifold of anthropological experience, classical and nonclassical, Western and Eastern, ancient and modern. The historical examples opening this text show us that world religions and spiritual traditions expressed and conceptualized their experience by means of an anthropology based on the idea of the human constitution formed-up in man’s unlocking towards another mode of being, or ontological horizon. This “anthropology of unlocking” is a deeply nonclassical anthropology that does not characterize the human being by notions of subject, essence or substance. In each concrete tradition, it appears as a certain “particular anthropology” that describes the man who actualizes a definite paradigm of the human constitution. However, the unlocking of the human being is pluralistic to the extreme, it has a large spectrum of very different versions, and quite a number of them can serve as a path of man’s constitution, of the formation of structures of human personality and identity. The anthropology of unlocking possesses a rich potential for generalization and expansion. Hence, the following idea emerges naturally: if this anthropology successfully described pre-classical anthropological formations, maybe it would be adequate for describing post-classical formations as well? Couldn’t modern experience and modern anthropological practices also be interpreted on the basis of anthropological unlocking, in some new and specific form? This idea inevitably had to come to my mind, when my long studies of the anthropology of Hesychasm and then of other spiritual practices resulted in the firm conclusion that all such practices have as their base the same paradigm of man’s constitution in the unlocking of himself, the paradigm that was the direct development and extension of the ancient paradigm of synergy. In my further work I succeeded in carrying out the idea, and that’s how a new anthropological conception appeared: synergic anthropology. Today synergic anthropology already has its history. In the first place, it has demonstrated that modern anthropological formations do indeed correspond to certain special kinds of man’s unlocking that are distinct from the unlocking towards another mode of being (ontological unlocking) in spiritual traditions. By the end of the 19th c. the leading role in anthropological experience begins to belong to effects or patterns of the unconscious, the systematic theory of which was developed in the same period in Freud’s psychoanalysis. The discourse of psychoanalysis (especially, in the modern formulation by Lacan) shows clearly that the constitution of man whose consciousness and behavior are directed and guided by patterns of the unconscious is formed up in his unlocking towards energies of the unconscious. Then in the last decades of the 20th c. the dominating role in man’s experience is passed on gradually to virtual practices. They have plenty of kinds and forms. The most widespread are undoubtedly computer practices, in which man goes out into computer virtual reality or cyberspace, and develops many diverse activities there. As synergic anthropology shows, in these practices there emerges a certain anthropological formation, “Virtual Man”, characterized by the incomplete actualization of his manifestations; and his constitution is also formed-up in anthropological unlocking, a specific “virtual unlocking” of man towards the accomplishment of his actualization. It is possible to prove that all the forms of anthropological unlocking, which provide the paradigms of the constitution of man as such, are restricted to a set of three basic forms: ontological unlocking, unlocking towards the unconscious, and virtual unlocking. With this result, the fundament of synergic anthropology is essentially completed. Present studies in synergic anthropology develop in many problem fields. Connections with adjacent theories are established, in the first place, with synergetics, in which the same paradigm of synergy is present, but it is interpreted and used here in a very different way, on the basis of the epistemology and methodology of natural sciences. But the most topical subject is the going-out to social philosophy and problems of the global social and anthropological situation. The framework of synergetic anthropology makes it possible to conceptualize and interpret in a new way the entire set of mutual connections and dependencies of the anthropological and social levels of global reality, or the “interface of the anthropological and the social”. The main contents of this interface are leading anthropological trends of the present anthropological situation; and the analysis or “anthropological diagnostics” of these trends is currently being performed. Based on such diagnostics, we can construct well-founded scenarios of the development of the anthropological situation, and even outline some ways and means of the correction of this situation. These anthropo-social studies have already produced some rather interesting results. Finally, as a more distant horizon, we could point out that the basic ideas of synergic anthropology by their inner logic inevitably lead us to a program of the anthropologization of the humanities. Indeed, we stress the prime importance of the anthropological level of global reality, and we know that any humanistic discourse deals eventually with human persons, in other words, it has some implicit anthropological content. Hence, it is a well-justified task to carry out a new conceptualization of these discourses that would make their anthropological contents explicit and put these contents to the forefront. The framework of synergic anthropology could provide such a program with the necessary tools. As a result, the entire sphere of the humanities would obtain a united conceptual and epistemological base or an integrating episteme, which would be of great help in working out strategies for human studies (in fact, such an episteme was always there in the “good old times” before the present-day epistemic vacuum). As for anthropology, it would gain a new role and status, becoming a core of a new episteme for the humanities: a role that might be called the science of human sciences.